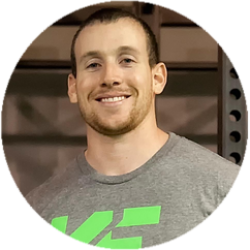 Dan is the owner of Kutting Edge Fitness in Kirkland, Washington and Kinetic Fitness in Butte, Montana – two start-up training gyms. He has worked in the health and fitness field for 15 years and holds a B.S. in Applied Health Science from Montana Tech University, where he was also a collegiate athlete. Dan is a Certified Exercise Physiologist through the American College of Sports Medicine and a level 2 Titleist Performance Institute Golf Fitness Professional. He has been mentored by some of the top golf fitness and fitness business professionals in the country including Thomas Plummer, Rick Mayo, Frank Nash and Jason Glass. He now mentors several start-up gym owners himself. Dan is a well-respected speaker in the greater Northwest and is considered an expert on the business of start-up gyms, improving strength/power for golf and other rotational sports, and small group training.